When Zigic is called out to a home near central Peterborough he’s faced with the remains of a burnt down shed with a charred corpse inside. The homeowners play dumb, insisting they never even noticed the shed beneath their bedroom window had burnt to the ground. Strange then that their neighbour had noticed, called the police and yet still not managed to get the homeowners to answer the door. So who’s the man in the shed and why are the couple acting so shifty? Outside of town and further into the countryside, Paulo reminisces about the love of his life back home, the woman he left to seek his fortune so they could live a better life together. But his memories of her are fading, as are his hopes of ever getting paid and being treated like a human being and not an animal. He knows it’s wrong and when he sees up close the treatment of an injured worker, his shock and fear cause him to speak out, placing a target on his own chest. 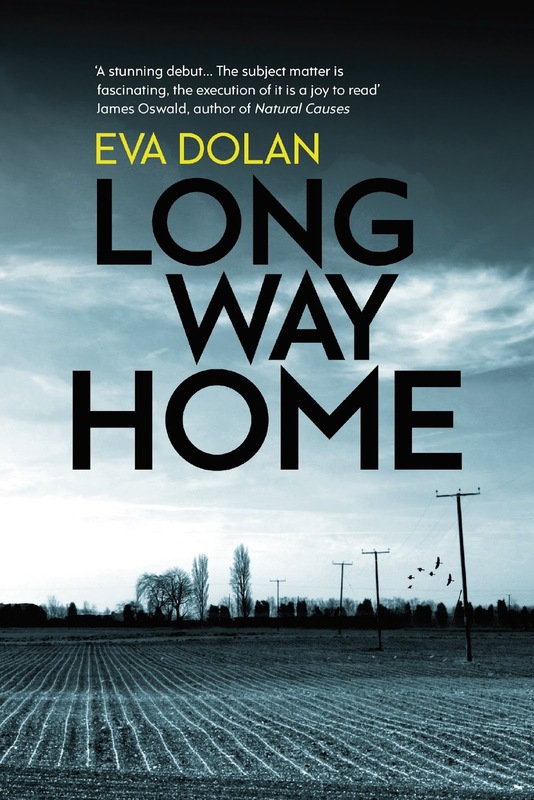 Long Way Home features some fabulous characters and Eva Dolan has an incredible gift for creating vivid, passionate parts that are 100% believable. Using the Peterborough Police Hate Crime Unit as her starting point, she introduces policemen and woman that you can instantly imagine on screen and I could see this novel being adapted very well. What really makes this crime novel stand out is how Dolan has captured the tensions of the mixed-race city and the pure desperation of some of the immigrants it contains. Their hopes and dreams of a future quashed and strong, independent men and woman repressed and taken advantage of until they feel they have nothing left. This unique and evocative path for a crime novel not only makes it gripping but also very moving. I thoroughly enjoyed The Long Way Home and I’ll definitely be grabbing up the second in the Zigic and Ferreira series.